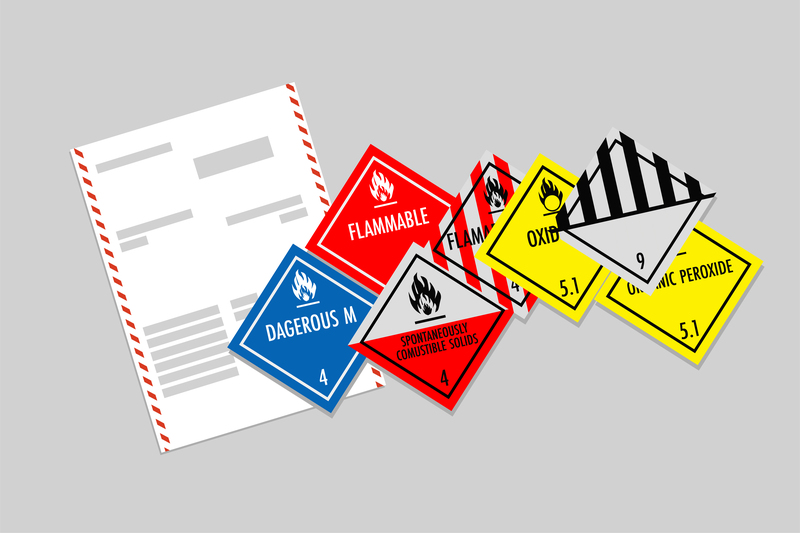 Dangerous goods can be defined as materials with inherent hazardous properties. In the shipping industry, dangerous goods can be anything that—if not properly controlled—could cause harm to the health and well-being to those handling them during transit. Dangerous goods are classified and identified to the nature of the hazard such as flammable, inflammable, poisonous, explosive, etc. 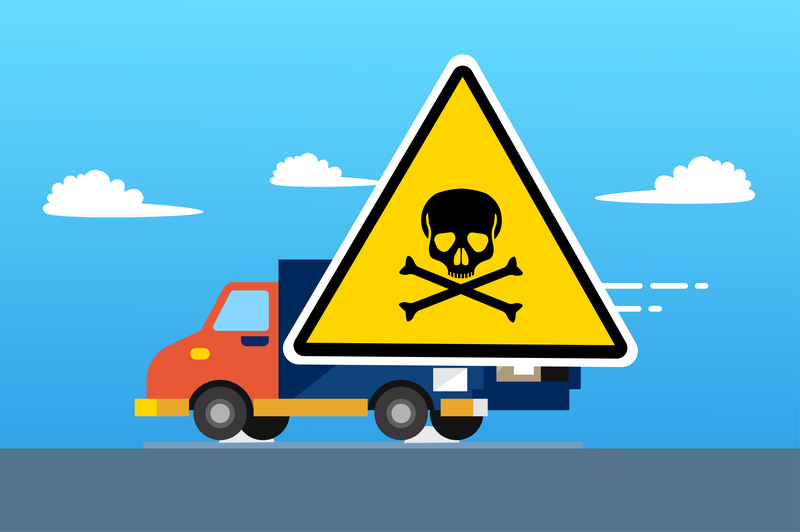 With the potential damage that these dangerous goods bring, the Cargowise Back Office Operators of Back Office Offshoring Solutions have listed a guide and share some best practices to give shippers and carriers a better understanding on how to ship hazardous goods. 1. Identify the hazardous good. If you are a shipper or carrier of hazardous goods, it is crucial for you to know and understand the nature of the goods you are about to send, as there are variety of restrictions on goods depending on its classification. Always remember that there are many items which could be difficult to classify as “dangerous” as they may not be dangerous by itself alone. For example, harmless products like table tennis balls, nail polish, paint, and perfumes are listed as hazardous materials but they do contain a dangerous component. 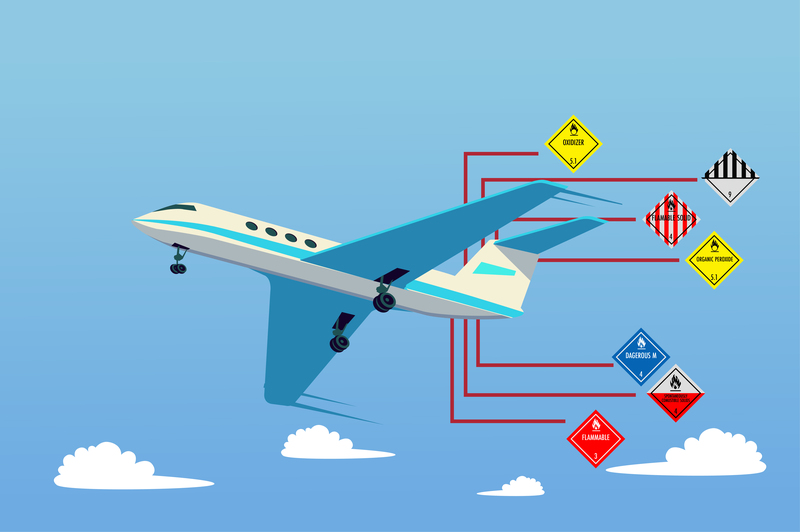 International Air Transport Association (IATA) has intentionally defined dangerous goods and made regulations in air travel and due to that, most of the dangerous goods can only travel by ground, which means express couriers will not carry it. With this case, it is possible that these types of dangerous goods could be banned from certain countries, so as shippers, you should definitely confirm that you can import what you are sending before you proceed. Even if the country may accept these dangerous goods, there’s a chance that there are no couriers that are willing to ship the goods there. There is various type of goods which can be considered dangerous, the most common of these are batteries and liquids. Lithium-ion batteries in laptop, computers, and mobile phones: these counts as dangerous goods depending on their size. Regularly, couriers provide a list of dangerous items including aerosols, weapons, and flammable materials which are often regulated by import countries and air freight providers, so make sure you know if your shipment contains any of these before you forward it. 2. It might not be able to fly. Due to the dangerous goods list that the IATA has defined, many products can’t fly and has to be shipped via surface freight. In spite of the fact that it will be a much cheaper option, it will take much longer for the customers to receive their products. Batteries like standalone power packs and disconnected batteries are a problem for many couriers. To void any risks when shipping batteries, make sure you are aware of what are the shipping limits are to handle it carefully, as they change often and might cause your company large fines from national governments who are cracking down on undeclared dangerous goods shipments. Even if you do it unintentionally, ignorance is not a good enough defense. Confirm if you are in compliance with the law when shipping goods and safeguard your company from fines. 3. Pack your goods carefully. While the proper packaging is critical for any cargo to cargo damages, for dangerous goods, it comes with additional risk due to the cargo’s hazardous nature. For this reason, you must ensure that you pack goods very carefully with the appropriate packing materials to avoid damages to the products during transit and that those handling the package are safe from harm. Also, ensure the proper cushioning and lashing of the cargo so that it does not move inside the container and cause any leakages or damage, it may cause delays to your shipment. If dangerous and non-dangerous goods are transported in the same container everything should be tightly packed, braced, and secured for transportation. Put the dangerous goods in areas where it is quickly and easily accessible in case there are any emergencies. It would be better if it is packed close to the container doors, so it can be thrown out or swiftly discarded in the event of an emergency to save the other goods. In addition, always put a label on the hazardous materials using IMDG code/UN number of the cargo to indicate the risk category and the level of danger from the contents of the container. If you are afraid to claim your shipment know that it contains dangerous goods, you can actually avoid it by asking your courier if it is possible to split your shipment. If they agree, you can take advantage of it in order to prior your own safety and aside from that it can save you a lot of time as you will no longer have to deal with dangerous goods documentation, and goods will not have to undergo special procedures in order to be shipped. If you’re not aware yet, sending multiple shipments which contain normal goods may be cheaper than one dangerous goods shipment. This is as usual in the case of mobile phones and notebook computers, where it is possible to make your shipment smaller than the threshold. However, splitting shipment is not risk-free. In fact, it might end up creating more difficulty and inefficiency because couriers can impose limitations not only on the number of dangerous goods per shipment but also on the number of goods shipments per consignee per day, means you would end up having to arrange multiple shipments over several days. Majority of the couriers raise their premium rates and asked for an additional charge for dangerous goods due to the exposure of their selves to the risks set aside of carefully handling and processing the dangerous goods. Insurance for dangerous goods has gone much more expensive due to the added risk of shipment. Several couriers will ask you to take insurance for the shipment to cover both the courier’s health and safety risk, and can even refuse to cover your shipment for any damage which may occur in transit. Documentation is the most critical aspect to be considered in the chain of hazardous materials shipments, that is why you have to get the documentation right when sending a hazardous good shipment, and also it is the key to ensure that your shipment goes smoothly. Whenever you have to move a dangerous goods shipment, make sure that all items especially dangerous ones are declared in your air waybill and commercial invoice under “Item Description.” In addition, most couriers will ask you to complete an expanded international air waybill and include a 24-hour telephone number on your shipper’s declarations. Any errors in this documentation will lead to massive delays at customs, or worst damages. 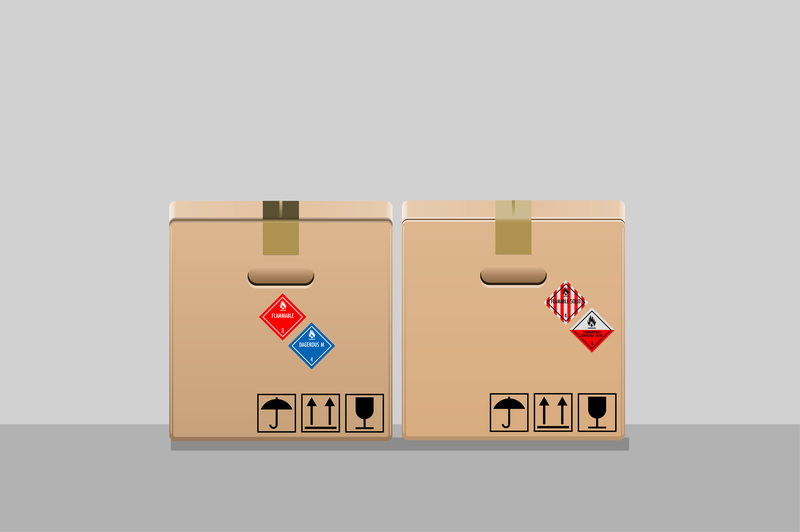 There are several documents involved in the shipment of hazardous goods like the Material Safety Data Sheet (MSDS), Dangerous goods request, dangerous goods declaration, dangerous manifest, Transport Emergency Card or TREM Card and many more depending on the nature of the goods, country of shipment and receipt, and its mode of transport. Another major factor that influences the shipping of dangerous goods is the awareness of all people involved in the chain of shipment. People involved in the chain from truckers, cargo handlers, operators, packers, hazardous goods approvers has to be suitably trained not only in their job-specific tasks but also in the whole chain. Each one of them must be aware of the regulations relating to the cargo, at the ports, destination country and the processes and documentation involved within. For most cases, the person assigned in loading the container is expected to sign a packing and compliance certificate to emphasize that all hazardous packing requirements were followed, the packing is done according to the international and local regulations. It is important for the employees to be fully aware of all the requirements of the cargo and other information relating to the cargo. Therefore, encourage your employees to undergo Offshore Cargowise Training at Cargowise One Training Service to help them gain enough knowledge and awareness on processing dangerous goods transportation. As you can see from the above details, there are many things to be aware of when transporting dangerous goods. Each entity in the chain has to be knowledgeable of the hazardous materials that are being shipped, what are the documents required, the transport requirements and the regulations that has to be followed. In addition, you can contact the couriers ahead to confirm if a dangerous goods shipment can go through or not. Shipping dangerous goods are not everyone’s cup of tea. Strict regulations must be followed and a high-level of planning is required. Therefore, it is important for you to be cautious and familiarize the process, procedures, packaging requirements, and the documentation required for successful shipping of your dangerous goods.